“Un mar de tesouros” (“A sea of treasures”): the book | Ponte... nas Ondas! 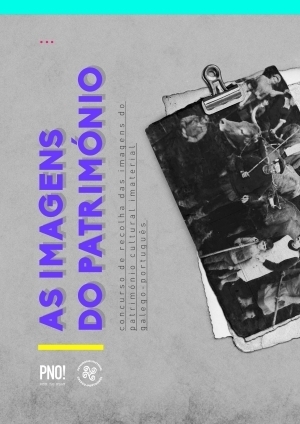 The project carried out in the local government of A Guarda, between November 2012 and September 2013, consisted on the realization of a study and an inventory of people and bearer groups of maritime culture that can be consider as “living treasures” of the maritime heritage. This project, presented by the local government of A Guarda, that take part of the GAC 7 Ría de Vigo – A Guarda, obtained from this organism a part of the financing for its execution. The Cultural and Pedagogical Association Ponte…nas ondas! was in charge of doing the tasks that were contemplated on the initial project. Such as it was captured on the plan presented, we counted with the collaboration of the Brotherhood of fishers Santa Tecla of A Guarda, the Association of Redeiras Atalaia of Baixo Miño and the Organization of Palangreiros of A Guarda. The education centres are and will be participants of this project, bringing to the classrooms the knowledge of these “living treasures”. A professional team were in charge of documenting the interviews with these people and groups for the relation of final works. In addition to these actions, living treasures participated on events and activities of social recognition where their knowledge and their skills were evaluated. 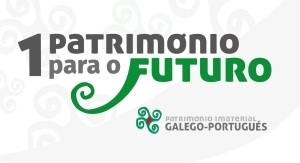 It consists of a plan of transmission of the Galician-Portuguese cultural intangible heritage that the local government of A Guarda is implanting with this first action that will be completed in others fields of the heritage. Between the measurement that was included on this project, the identification, the documentation, the investigation, the preservation, the protection, the promotion, the valuation, the transmission (basically through the formal and not formal teaching) and the revitalization of this heritage (in its different aspects according to the recommendation of the Convention of the UNESCO for the Safeguarding of the Cultural Intangible Heritage on its article 2.3.) were contemplated. During the realization process of the works, it could be possible to confirm the availability of the associations as well as the organizations that participate on the project. This collaboration permitted to reveal new information that gives important contributions from an ethnographic and anthropological point of view. It also could be possible to verify that these “living treasures” possess materials and objects related to their wisdoms that made important contributions to illustrate their knowledge as well as photographs of their activities. It was verified that, sometimes, the process of transmission of these knowledge was already broken by the simple disappearance of people bearer of the trade or of the traditional wisdom, such as the sailing boat. Even so, references and testimonies were found that have an important value and must be recognised. In some cases, as there is only a person who held this knowledge, it’s urgent and essential to register it and to transmit it to new generations. Consulta toda a actividade do Día Mundial na Radio en EscolasnasOndas.com!